Gaza, ALRAY - A survey conducted by the Palestinian Center for Policy and Survey Research in the West Bank and Gaza Strip revealed a decline in the satisfaction of Palestinians in the West Bank and Gaza with the performance of President Mahmoud Abbas and his responsibility for the poor situation in the Gaza Strip. Gazans in the survival of their weapons. The poll covered Palestinian responses in the West Bank and Gaza to questions related to internal conditions, Palestinian reconciliation, security coordination and the overall significant developments in the Palestinian arena in the past three months. - 65% of the West Bank residents believe that people can not criticize the authority in the West Bank, and 32% believe that people can criticize the Authority without fear. - 64% feeling of security and personal safety in the Gaza Strip. - 47% of the Palestinian public say that the Palestinian Authority has become a burden on the Palestinian people. - 58% of the Palestinian public rejects the president's position that Hamas should hand over the Gaza Strip to the Palestinian Authority. Authority lift the measures taken against the Gaza Strip such as salary cuts or reduction of electricity hours. - 54% say they are dissatisfied with the dissolution of the Legislative Council. -53% view the dissolution of the Legislative Council as illegal and unconstitutional. - 60% support the resignation of President Abbas, while the percentage of those who support his stay in office 35%. -62% are dissatisfied with the performance of President Abbas while 34% are satisfied with his performance. -39% would vote for Hamas if elections were held, and Fateh would vote 32%. - 54% will not participate in the elections if they are only legislative, and 62% will not participate in the elections if they are only legislative and confined to the West Bank. 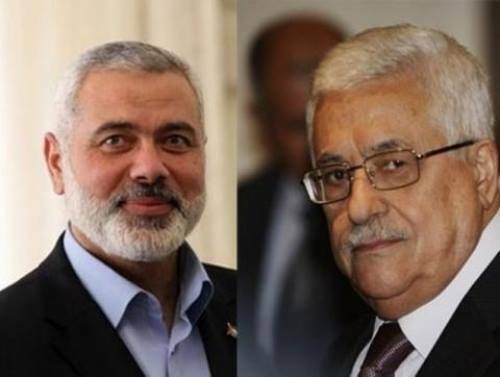 -51% of Gaza Strip residents will vote for Ismail Haniyeh in the presidential elections, while 47% of Gaza Strip residents will vote for President Abbas. -71% of the Palestinians say that with the armed brigades remaining in the Gaza Strip alongside the official security forces, only 24% say they are against the survival of the armed brigades. - 78% of the respondents say that the leadership of the Palestinian Authority and the security services will not stop the security coordination with Israel. - 62% of the population of the Gaza Strip hold the Palestinian Authority responsible for the deterioration of the economic situation in the sector, while 17% of the population of the West Bank claimed responsibility for Hamas.